More than 70 gigawatts of wind power is installed around the U.S., according to new figures from the American Wind Energy Association. The milestone was hit in November. 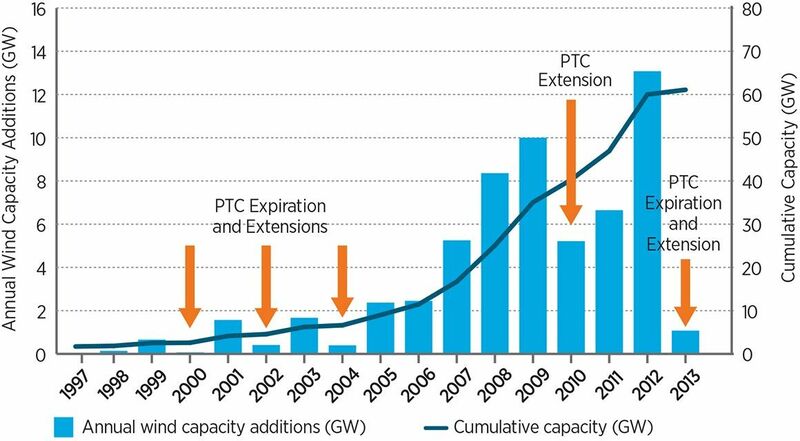 It took three years to get from 60 gigawatts to 70 gigawatts due to the temporary expiration of the Production Tax Credit in 2013, which brought new wind energy projects nearly to a halt. The boom is back, however, and is expected to continue given the recent extension of the Investment Tax Credit and Production Tax Credit. The cost of wind has dropped by more than 60 percent since 2009, and AWEA expects further cost reductions given the policy certainty. AWEA did not give detailed forecasts, but said the tax credit extensions would support tens of gigawatts of new wind projects through 2020. This year saw about 500 megawatts of installed capacity across the U.S., from Maine to Oklahoma to Colorado. North Carolina announced its first utility-scale wind farm, which will be the largest project in the Southeast when it is completed. Texas and the Midwest continue to lead the wind industry. Texas’ grid operator saw wind supply more than 18 percent of demand in November, according to AWEA. At one point in November, Colorado got two-thirds of its electricity from wind. 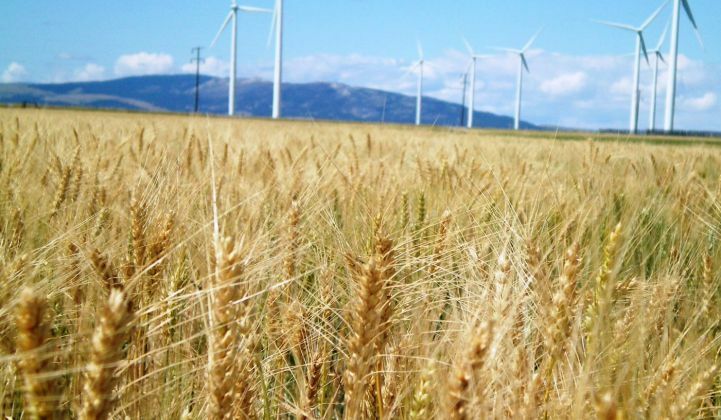 Another boost for wind power will be Clean Power Plan compliance. Earlier this year, the U.S. Energy Information Administration put out an analysis finding that wind could double and maybe even triple by 2030 under the CPP. AWEA thinks that could even be a conservative estimate, given the falling prices of wind. 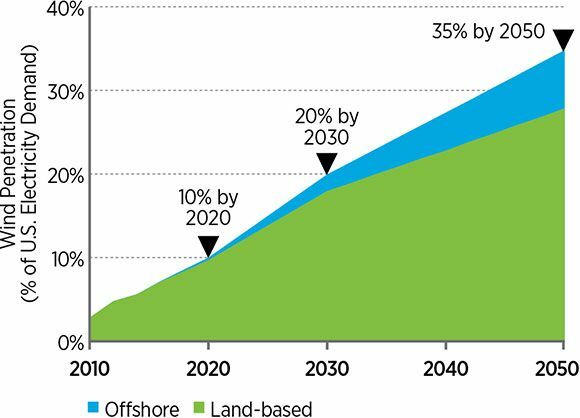 Unlike in Europe, the growth in U.S. wind power will be largely land-based, according to the U.S. Department of Energy. In achieving that goal, electricity prices would rise about 1 percent through 2030, but then fall afterward by 2 percent for a cumulative ratepayer benefit of $400 billion.